Additional Info – Uppslands Rune Inscription sits at the edge of a burial ground dating from the latter half of the Iron Age. The top of the runestone (with the name of who it memorializes) had already been damaged when rune-researchers of the 1600’s made drawings of the stone. 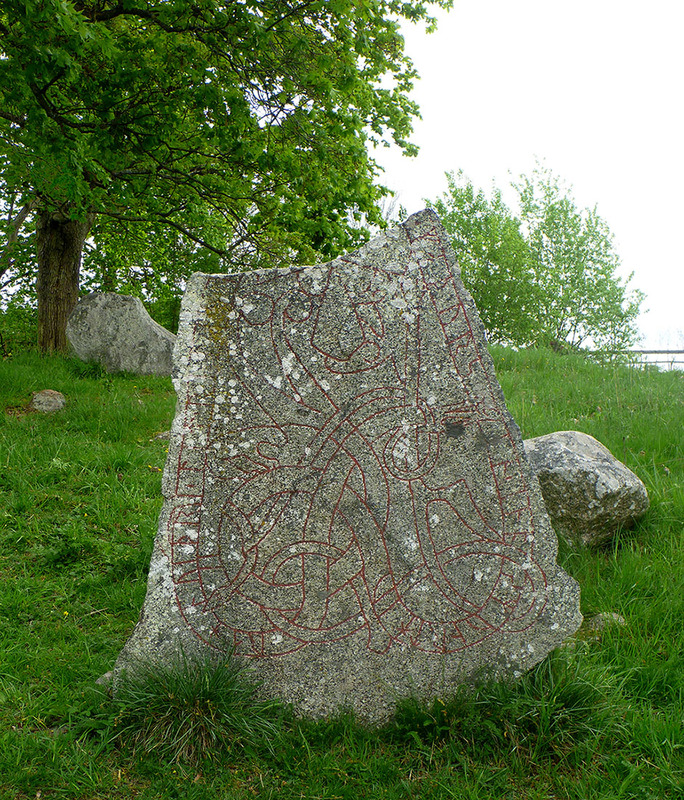 This one was carved by Åsmund Kåressons, one of the most prolific runemasters in the area.